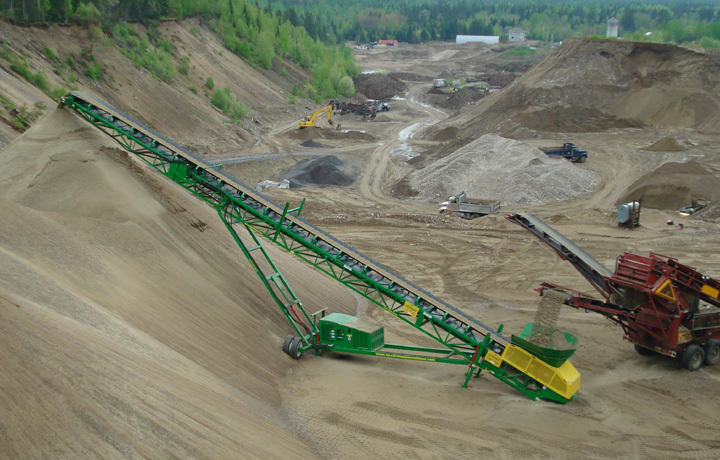 A radial stacker conveyor is a large piece of industrial equipment used to sort bulk biomass material into piles. Each radial stacker conveyor consists of a steel frame used to support a metal or composite conveyor belt. The primary purpose of a radial stacker conveyor is to keep bulk biomass material organized into neat piles, which help improve speed and efficiency. 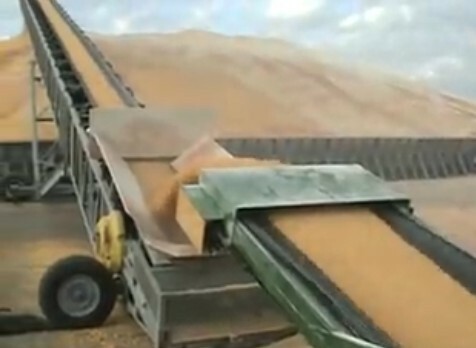 Bulk material such as biomass is dumped onto the conveyor and the belt carries the material to the end of the conveyor (also known as the “boom”) where they form on the ground. Keeping the boom close to the top of the pile minimizes dust and maintains a neat pile. Some systems come on wheels or with a rotating boom in order to assist in the reduction of material handling from one pile to the next. 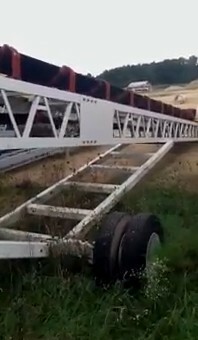 The conveyors come with a pivot stand located underneath the loading hopper. This makes it easy to set up another conveyor or machine feeding into the Radial Stacking Conveyor since the loading hopper remains at the center of the arc throughout the radial movement of the conveyor. 1.Turner, B., and W. Everett. "What Is a Stacker Conveyor?" WiseGeek. Conjecture, n.d. Web. 14 Dec. 2012. . 2. "SCREEN USA INC | Radial Conveyors." SCREEN USA INC. N.p., n.d. Web. 14 Dec. 2012. .